HOUSTON (KTRK) -- Eyewitness News helped a north Harris County man find the rightful owner of someone's cremated remains. 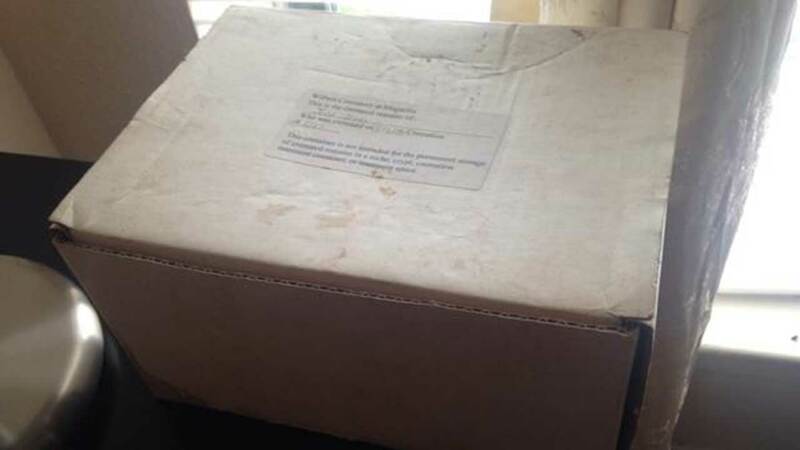 The father of 5, who asked to remain anonymous, discovered a box with ashes inside a couple of months ago. He works for a transport company and was set to deliver a 2001 Jeep Grand Cherokee Laredo to a dealership when he saw that the box had been left in the vehicle. "When I found this box, I knew what it was--somebody's loved one," the man told Eyewitness News. Instead of letting them get thrown away, he said he wanted to do the "right thing." He took the box home hoping he could find the owner. Then he asked for our help. "I have a mother whose passed and I wouldn't want her remains left anywhere. I'm pretty sure they're hurting inside. They lost their loved one," he said. The box is from Wilbert Crematory at Magnolia. It's labeled with the name "Joed or Joe d Gentry." Inside the SUV was paperwork with the name "Kyle Gentry" on it. Eyewitness News tried to reach a Kyle Gentry of Orange, Texas, but the phone call went to voice mail. An acquaintance of his finally answered and he said he'd pass along the information. "Even though the person's not here, here, they're still here. They need to be returned," said the keeper of the remains. Right after our story ran on Eyewitness News at 10pm Friday night, the rightful owner called; and they're coordinating to get the remains back.